A common mistake I see in aerospace value streams is in the lead time ladder calculation. The lead time ladder has of course the inventory queuing component and the process time. When adding up the lead times, I often see people just adding up the top line of the ladder (queue time) and ignoring the process time. In automotive, I see queue times of like 2 days with process times of 30 seconds; then of course it wouldn't matter much if you didn't add the process time in your lead time calculation. But at my aerospace company, I often see process times of like 4 days and queue times of 20 days. In that case, if you didn't add the process time to your queue time to get your lead time, you would think your getting a part out in 20 days instead of 24. Me versus Tim Wood, Brazilian Jiu Jitsu deathmatch! Recently I was driving north up the 405 freeway towards Los Angeles. If you’ve ever made this drive, you know that it always gets congested right around the 10 freeway. As I was passing the 10, I noticed that the congestion was mainly caused by people trying to jam themselves into the ramp at the last second. And of course there were people that wouldn’t let them sneak in, thus causing more traffic. Being the Lean nerd that I am, I thought about how a good Visual Management system could have helped the traffic problem. Good visual management keeps you updated on how you’re progressing on your path and tells you whether you’re off course or not. 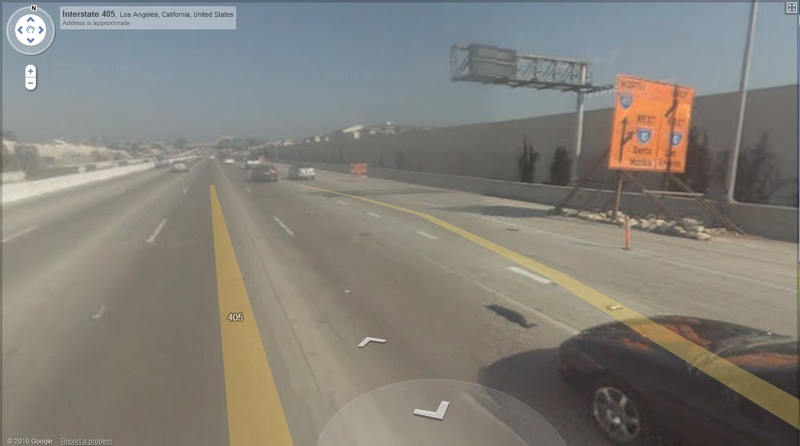 There was only one small sign on the 405 that showed the 10 freeway ramp was coming (and that sign was confusing) Had there been better visual signals to show what was upcoming, there would be fewer last minute swerving to get onto the ramp and thus, less traffic and accidents. Well I've decided to enter into the wonderful world of blogging! I hope that by blogging I can connect and learn from other lean experts from around the world. Ive been on quite the lean journey myself so sharing some of my experiences may help others too I hope. I'll be doing a bit of blogging from my iPhone cause I like capturing my thoughts at random times so excuse the spelling and punctuation! Please comment and leave any thoughts you might have on my posts.